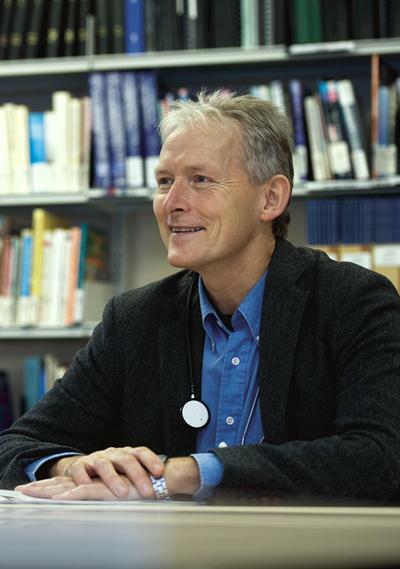 Professor Little was the first GP to be awarded a Wellcome HSR training fellowship (for research on health promotion), and the first to be awarded an MRC Clinician Scientist Fellowship (for research on common self-limiting illness), and in addition current major areas of research are in enabling behaviour change both for health professionals and also in empowering patients. Current Post: Professor of Primary Care Research. Two main areas of interest: health promotion and the management of common self-limiting illnesses. These topics link evidence about effectiveness with the effect of management of patient beliefs and behaviour, better understanding the importance of the patient centred approach to the consultation. This was an MRC funded trial of the Alexander Technique (a technique to improve and modify poor postural and body ‘use’ habits) and exercise prescription by GPs for back pain (the ATEAM trial). It demonstrated significant benefits for pain and function in the longer term. Following the ATEAM trial EME have now funded this study to investigate the mechanisms of Alexander Technique and the mechanism of recovery in back pain with both physiotherapy and the Alexander Technique. I am co-investigator and mentor for this project which aims to understand communication in physiotherapy consultations and will then develop and pilot and intervention to modify consultation behaviour. Following our work in trialling antibiotic prescribing strategies in several respiratory infections we completed a study to develop clinical scoring algorithm for urinary tract infections leading to a trial of different management approaches. We have just completed two major trials as part of a large European Union Network of Excellence project (GRACE) for Lower respiratory tract infection - which is the commonest acute condition managed in primary care. RCT of amoxicillin: this trial which is coming to a close has randomized 2061 individuals in 12 Networks across Europe and the results are likely to dominate the management of lower respiratory tract infection (LRTI) in primary care for some time. The second GRACE trial developed from another EU project we share (CHAMP), developed and tailored web based communication training packages for health professionals in 6 EU countries. We randomized 246 practices across Europe and recruited more than 4000 patients in this trial - which assessed whether an internet based behavioural intervention to modify communication in the consultation can modify health professional antibiotic prescribing for LRTI. This was a large prognostic cohort study in acute sore throat (more than 13000 patients were recruited) funded by the MRC. This was an HTA funded study to develop and perform a randomized trial (which has recruited more than 1500 patients) of strategies for using rapid tests and clinical scores for sore throat. The MRC have funded us to develop and trial an infection control website requiring complex intervention development. An MRC studentship was used to develop web based self help advice using the MRC Framework for the development of complex interventions. PIPS: steam, paracetamol and ibuprofen for acute respiratory infections. SNIFS: nasal irrigation and steam for recurrent sinusitis. TASTE: probiotics and xylitol for recurrent sore throat. Internet Dr trial (following the development referred to above). This is an HTA funded trial to asses the impact of antibiotics for chest infections in children. Infectious diseases are a major threat to human wellbeing and economic and social development. Influenza, a highly contagious virus, causes a common respiratory infection with local and systemic symptoms. This programme of research aims to promote effective eczema self-care by improving individuals’ knowledge of eczema treatments and influencing attitudes, skills, and habits related to treatment use. The population is getting older (over 3 million people [5%] in the UK are >80 years) and the number of people living with multiple long-term conditions taking multiple drugs is increasing. High blood pressure is one of the most common conditions in older patients and up to half of this population receive two or more drugs to treat it. However, recent evidence suggests that large reductions in blood pressure, and too many drug prescriptions may be associated with an increase in serious falls and death in the elderly. This is a retrospective cohort study to investigate the long-term effects of prolonged antibiotic consumption on health. In the SupportBack 2 trial we aim to find out if an internet intervention, with or without physiotherapist support, can be effective in helping primary care patients manage low back pain. Responsibility for critical appraisal paper in MBBS finals. I supervise 3 PhD students, 3 Academic Clinical Fellows, and mentor 2 senior postdoctoral awards and a Clinical Research Fellow. I also do regular teaching at GP workshops and clinical postgraduate meetings. Member of Management team for Primary Care and Population Sciences Division. Head of Southampton primary care group for National Primary Care HODs group and also for the National School for Primary Care Research. Member of REF panel for Public Health, Health services and Primary care. Moore, M., Butler, C. C. B., Francis, N. A., Thomas-Jones, E., Longo, M., Wootton, M., ... Verheij, T. (2018). Point of care urine culture to inform appropriate antibiotic prescribing for uncomplicated urinary tract infection in primary care (POETIC): a randomised controlled trial of clinical and cost effectiveness. British Journal of General Practice. Little, P., Bruyndonckx, R., Hens, N., Aerts, M., Ieven, M., Butler, C., ... Coenen, S. (Accepted/In press). Predicting poor outcome in patients presenting to primary care with acute cough. British Journal of General Practice. Geraghty, A. W. A., Santer, M., Williams, S., Mcsharry, J., Little, P., Muñoz, R. F., ... Moore, M. (2017). “You feel like your whole world is caving in”: A qualitative study of primary care patients’conceptualisations of emotional distress. Health, 1-37. Birnie, K., Hay, A., Wootten, M., Howe, R., MacGowan, A., Whiting, P., ... Sterne, J. (Accepted/In press). Comparison of microbiological diagnosis of urinary tract infection in young children by routine health service laboratories and a research laboratory: diagnostic cohort study. PLoS ONE, 1-30. Moore, M., Stuart, B., Little, P., Smith, S., Thompson, M. J., Knox, K., ... Mant, D. (Accepted/In press). Predictors of pneumonia in lower respiratory tract infections: 3C prospective Cough Complication Cohort study. European Respiratory Journal. Bishop, F. L., Dima, A. L., Ngui, J., Little, P., Moss-Morris, R., Foster, N. E., & Lewith, G. (2015). “Lovely pie in the sky plans”: a qualitative study of clinicians’ perspectives on guidelines for managing low back pain in primary care in England. Spine, 40(23), 1842-1850. McLachlan, S., Mansell, G., Sanders, T., Yardley, S., Van der Windt, D., Brindle, L., ... Little, P. (Accepted/In press). Symptom perceptions and help-seeking behavior prior to lung and colorectal cancer diagnoses: a qualitative study. Family Practice, 1-21. Little, P., & Smyth, C. (2012). Stop fighting chest infections with antibiotics, GPs told. [Interview with Professor Paul Little]. Times. Dunn, N., Lane, D., Everitt, H., & Little, P. (2007). Use of antibiotics for sore throat and incidence of quinsy. British Journal of General Practice, 57(534), 45-49. Williamson, I., Benge, S., Moore, M., Kumar, S., Cross, M., & Little, P. (2006). Acute sinusitis: which factors do FPs believe are most diagnostic and best predict antibiotic efficacy? Journal of Family Practice, 55(9), 789-796. Williamson, I., Benge, S., Mullee, M., & Little, P. (2006). Consultations for middle ear disease, antibiotic prescribing and risk factors for reattendance: a case-linked cohort study. British Journal of General Practice, 56(524), 170-175. Little, P., Turner, S., Rumsby, K., Warner, G., Moore, M., Lowes, J. A., ... Mullee, M. (2006). Developing clinical rules to predict urinary tract infection in primary care settings: sensitivity and specificity of near patient tests (dipsticks) and clinical scores. British Journal of General Practice, 56(529), 606-612. Little, P., Moore, M., Warner, G., Dunleavy, J., & Williamson, I. (2006). Longer term outcomes from a randomised trial of prescribing strategies in otitis media. British Journal of General Practice, 56(524), 176-182. Moore, M., Little, P., Williamson, I., Warner, G., & Coppin, R. (2005). Letter. A pain in the neck for steroids. British Journal of General Practice, 55(514), 393 - 394. Coppin, R. J., Wicke, D. M., & Little, P. S. (2005). Managing nocturnal leg cramps — calf-stretching exercises and cessation of quinine treatment: a factorial randomised controlled trial. British Journal of General Practice, 55(512), 186-191. Little, P., Dorward, M., Gralton, S., Hammerton, L., Pillinger, J., White, P., ... Payne, S. (2004). A randomised controlled trial of three pragmatic approaches to initiate increased physical activity in sedentary patients with risk factors for cardiovascular disease. British Journal of General Practice, 54(500), 189-195. Price, D. B., Honeybourne, D., Little, P., Mayon-White, R. T., Read, R. C., Thomas, M., ... Winchester, C. C. (2004). Community-acquired pneumonia mortality: a potential link to antibiotic prescribing trends in general practice. Respiratory Medicine, 98(1), 17-24. Everitt, H., Kumar, S., & Little, P. (2003). A qualitative study of patients' perceptions of acute infective conjunctivitis. British Journal of General Practice, 53(486), 36-41. Thompson, R. L., Summerbell, C. D., Hooper, L., Higgins, J. P. T., Little, P. S., Talbot, D., & Ebrahim, S. (2003). Relative efficacy of differential methods of dietary advice: a systematic review. American Journal of Clinical Nutrition, 77(4), 1052S-1057S. Little, P., Watson, L., Morgan, S., & Williamson, I. (2002). Antibiotic prescribing and admissions with major suppurative complications of respiratory tract infections: a data linkage study. British Journal of General Practice, 52(476), 187-193. Little, P. (2002). Where next with antibiotics and respiratory tract infections? Journal of Family Practice, 51(4), 337-338. Little, P. (2002). X-rays for back pain? [Editorial]. British Journal of General Practice, 52(480), 534-535. Little, P., Somerville, J., Williamson, I., Warner, G., Moore, M., Wiles, R., ... Peveler, R. (2001). Family influences in a cross-sectional survey of higher child attendance. British Journal of General Practice, 51(473), 977-982. Little, P., Griffin, S., Dickson, N., & Sadler, C. (2001). Unwanted pregnancy and contraceptive knowledge: identifying vulnerable groups from a randomized controlled trial of educational interventions. Family Practice, 18(4), 449-453. Moore, M. V., Little, P. S., Williamson, I., & Warner, G. (1997). Scoring system for throat infection (letter). British Journal of General Practice, 47(416), 181-182. Thomas, T., Crawley, E., Kendrick, T., Lewith, G., Little, P., & Moss-Morris, R. (2015). FAME – Fatigue: acute Fatigue Assessment and Management in Everyday practice. Poster session presented at CRN Wessex RSI Event, . Latter, S., Blenkinsopp, A., Smith, A., Chapman, S., Tinelli, M., Gerard, K., ... Department of Health (2011). Evaluation of nurse and pharmacist independent prescribing. , Keele, GB: Faculty of Health Sciences, University of Southampton; School of Pharmacy, Keele University on behalf of Department of Health. Clinical Teaching in Primary care for undergraduates. Lecturing on research methods (critical appraisal and the development of complex interventions). Supervision of Post-graduates and research fellows. 'Handwashing can stop viruses completely' interview with That's Solent TV. Internet programme to encourage hand washing reduces spread of cold and flu viruses, continue reading here. Paul Little was quoted in the Daily Mail about the University's earlier research on the best treatment for coughs, colds and sore throats. New test for patients with sore throats cuts antibiotic use by nearly a third. Please click here for full news item. Internet-based training could help in the fight against antibiotic resistance. Please click here for full news item. Commonly prescribed antibiotics ineffective for treating uncomplicated chest infections. Please click here for full news item.